It might seem like we’re quite the lush pair here at Minimalist Baker, but that really isn’t the case. We simply enjoy a quality cocktail every now and again, especially when it’s light, delicious and easy to make. 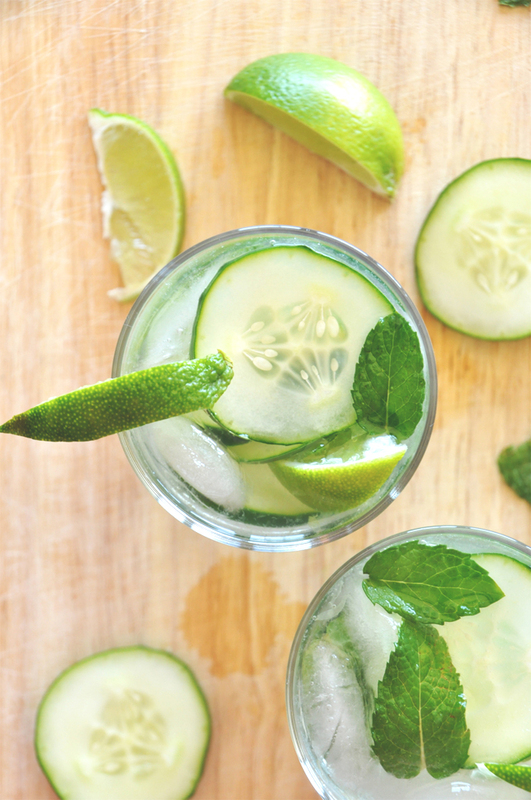 This cucumber cooler is no exception. When my boss was in town a few weeks ago, we all went out for drinks. It was the perfect evening really. Late summer, still warm enough to forgo a jacket, the service was spot-on, the live music was the best I’ve ever heard in Wichita, and the cocktails? Rather a dream. John ordered a drink featuring cucumber slices and after one sip, I was quickly regretting my pinot noir. In fact, every time he turned to talk to my boss, I’d sneak sips. Rather sneaky, I am. 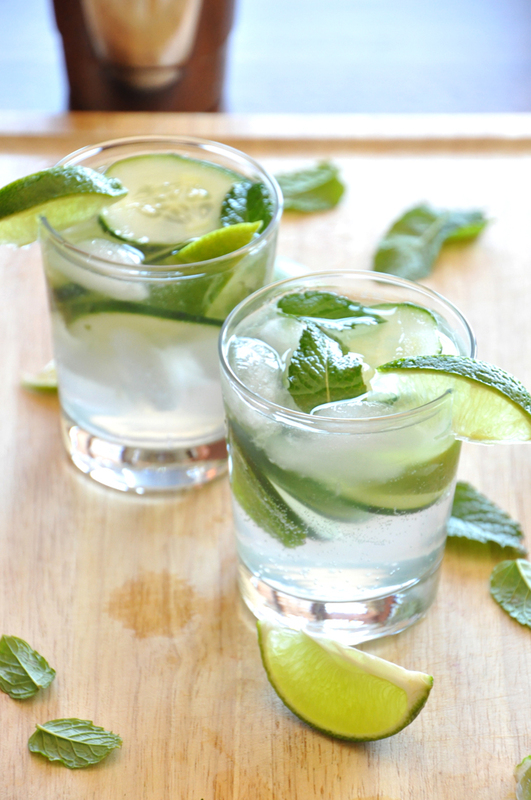 This recipe is as simple as it gets: gin, lime, mint, cucumber and tonic water. Even the novice bartender can throw this together at the amazement of onlooking guests. Plus, it’s easy to modify to suit each person’s taste, allowing you to please even the pickiest of palettes. For example, John prefers sour, I prefer sweet – bring on the sugar. In just a few minutes we had a lovely cocktail on our hands. And it seemed the longer we sipped on it the better it became as the flavors were given more time to marry. What does it taste like? 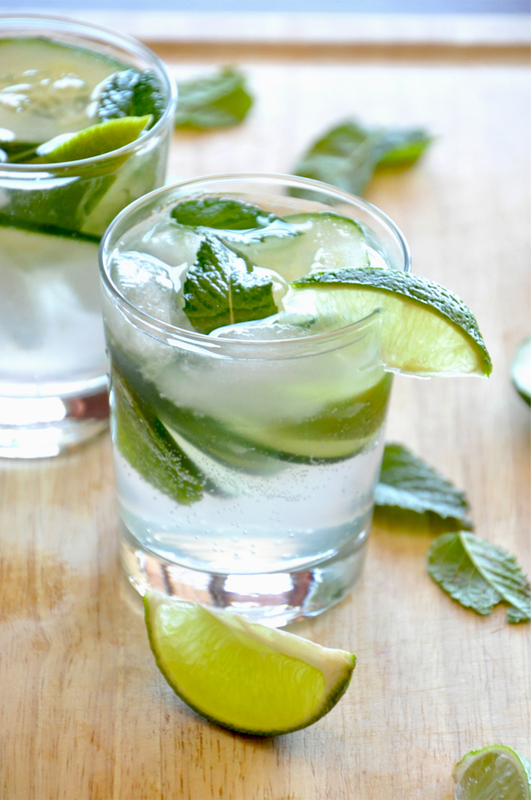 A sophisticated limeade. An upgraded mojito. 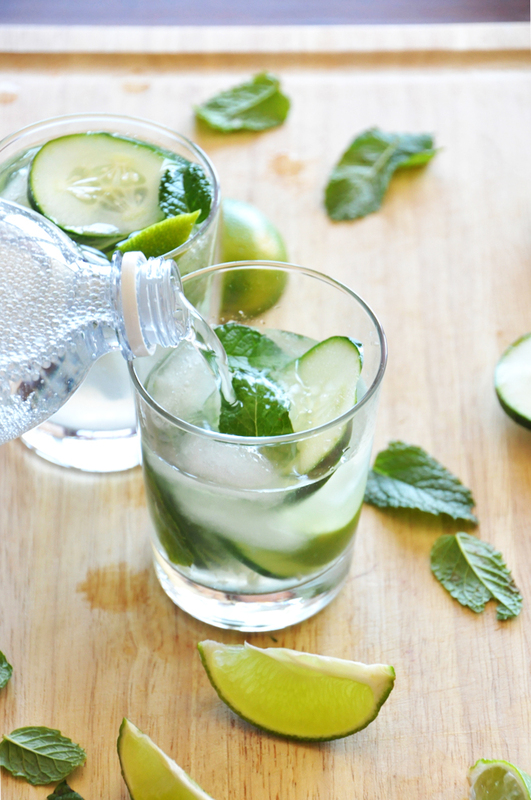 Cucumber water on steroids. Just try it, you will love. 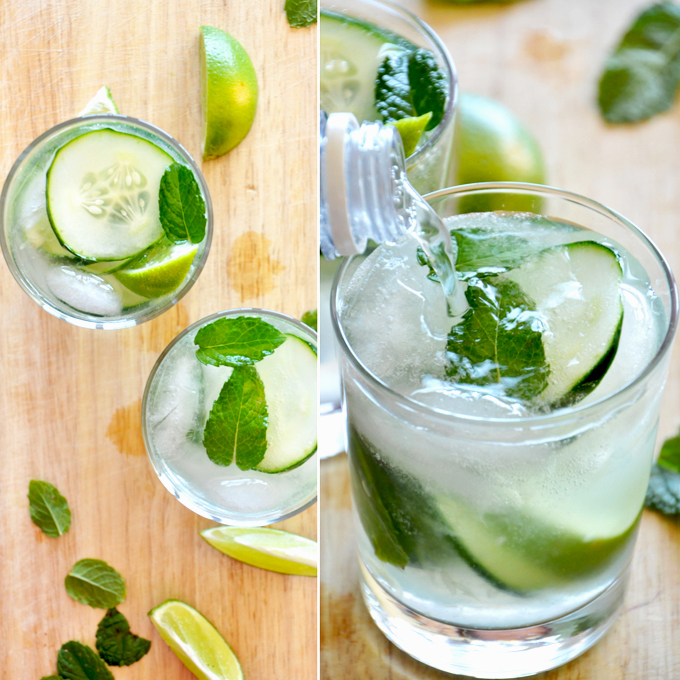 A light, refreshing cocktail with fresh lime and mint and a surprising, pleasant crunch from cucumber slices. *For those who prefer a sweeter drink, add sugar to taste. However, it's also quite enjoyable without. Hey there great blog! Does running a blog similarto this require a great deal of work? I have virtually noexpertise in programming however I was hoping to start my own blog soon. Anyhow, should you have anyideas or techniques for new blog owners please share.I know this is off subject but I just had to ask.Thank you! Can I use vodka instead of gin? We would like to serve this drink as both a cocktail and mocktail version. Any suggestions on how to do the mocktail version? Thanks! Hi Gwyneth! You can absolutely make this recipe for a large crowd, and I’d recommend adjusting the serving size using our newest feature which you can find directly above the recipe, to help you accurately make enough for your party. Enjoy! Made this for a nice summer night on the patio around a fire. Very refreshing! Will try Hendricks next time. Used diet tonic – thought the drink was relish. Found out Husband not a tonic fan, so next time will sparkling water his. Yay! Glad to hear you enjoyed it, Suzy! Perfect for a hot June evening! Yay! Glad to hear it, Donna! 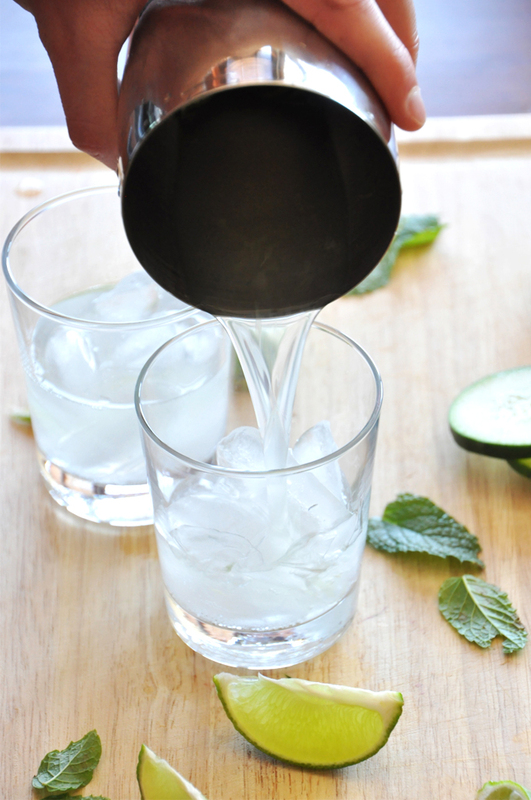 Made the cucumber cooler cocktail, refreshing for the summer time.I loved it! This is the best gin recipe I have tried. It compliments the Hendrick’s gin perfectly! 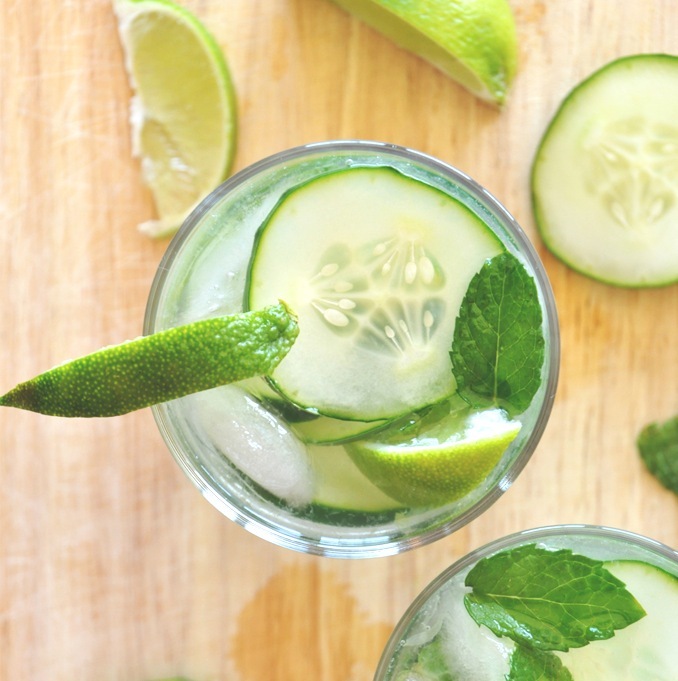 Cucumber is my favorite fruit to use for drinks. Definitely the most versatile. 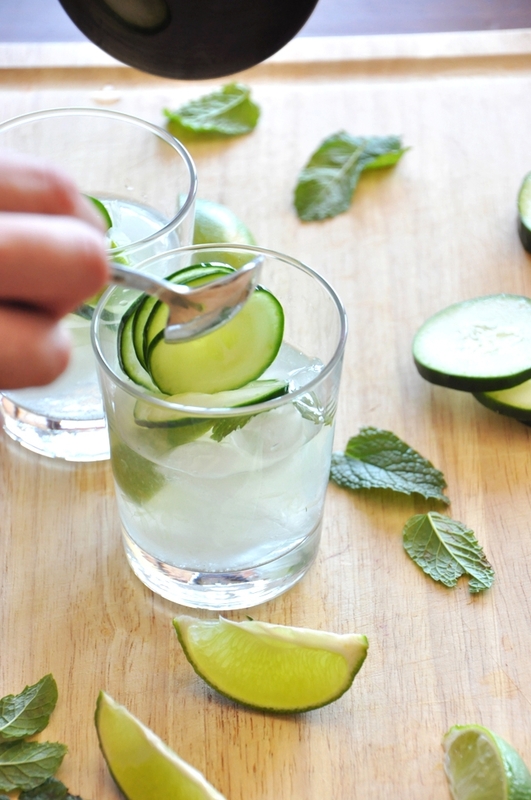 Made these, looking for cucumber cocktail recipes. We have cucumbers growing profusely, as well as mint. We prefer club soda instead of sweet tonic. They were delicious with the club soda. Thanks, Marilyn and brad in College Hill, Wichita. Btw, where did you have them in town? Made this tonight and am thoroughly enjoying it out on my patio. It is light and refreshing. I bought Tangpur gin by Tangueray and it is delicious. Thanks for a delicious new summer cocktail! Great recipe and well done! One word to the wise: many people do not realize how much sugar is already in tonic water (32 grams in a can). I’d really suggest using diet tonic water if you want it sweet and are adding sugar. Your teaspoon added makes the drink have a higher sugar content than a Coke. I was looking for something new to try as I have been bored by drinking some particulars only. I got impressed by the description of the taste you have given and thinking of tasting it pretty soon. I was planning a surprise party for my friends as we haven’t met since Christmas. I think this drink will be perfect for the party as it is easy to make too. You have explained the recipe and ingredients really well and images hared are also amazing. 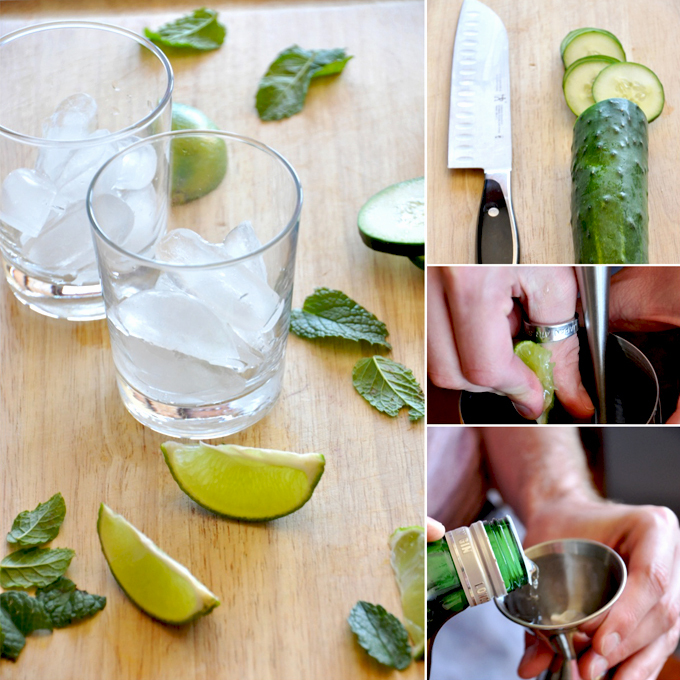 I am trying to find a “mean” cocktail based upon cucumbers, but without any alcohol – any thoughts on this please ? I created this recipe myself, and I’ve served it at so many summer parties. It’s been a hit every time, and people have asked for the recipe so often that I had to type it out and print it for everyone! Enjoy my cocktail! To make your cucumber puree, slice ½ a cucumber into sixths, then put in a blender. Add your lime juice, simple syrups, and rum, and blend until smooth. Strain your cucumber mix through a fine sieve or conical strainer into a mixing tin, then shake with ice. Strain into a white wine glass, and top with sparkling water. To garnish, skewer the dehydrated cucumber wheel and cucumber peel rose on a bamboo sword, then insert mint sprig in the rose. Enjoy responsibly! *Note: For non-alcoholic version, omit the rum. There is no need to replace it with another ingredient. This is just what I needed during a hot week! I made them before my cooking class. I was still having a problem with the comment box, I am not sure why it doesn’t appear for me to write. It’s even better if you soak the cucumbers in the liquor for a week. Yum! Smart thinking! Thanks for the tip! Tried this out and it was simply refreshing. I even tried it without the cucumber, like in a regular mojito but the cucumber gives it a very different summery freshness to it. Loved it! Amazing! My new summer crowd pleasing go to! had a similar drink in DEnver.. they used thai basil! JUST WOW> and a bit of jalapeno. it was sublime. 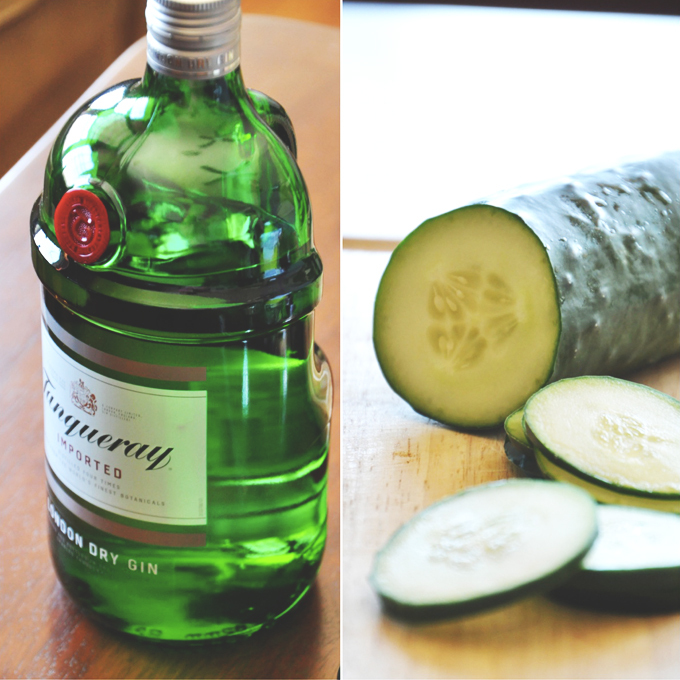 wonder if i can infuse gin and make my own cuke gin. Added chili salt to the rim of the serving glass. 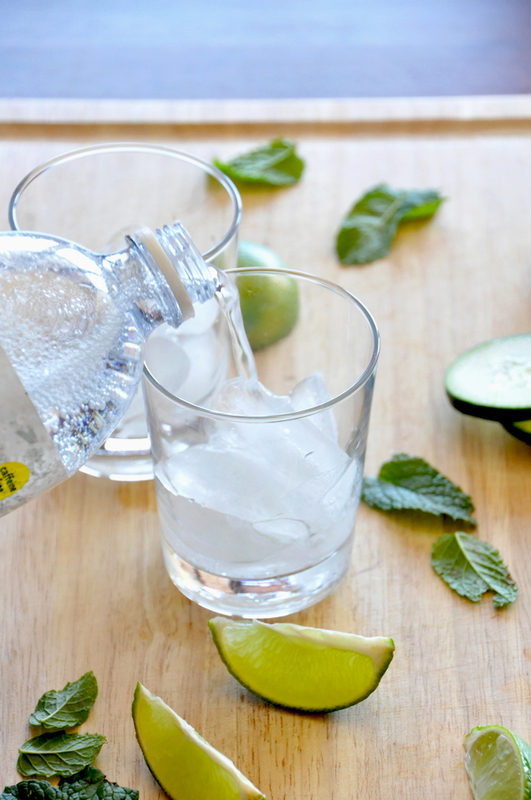 Wondering….If you don’t like tonic but like gin and love mojitos, will this be as great as everyone says? or will the tonic thing ruin it for me? Having a little get together would make in a punch pitcher. This sounds excellent except for my tonic aversion. 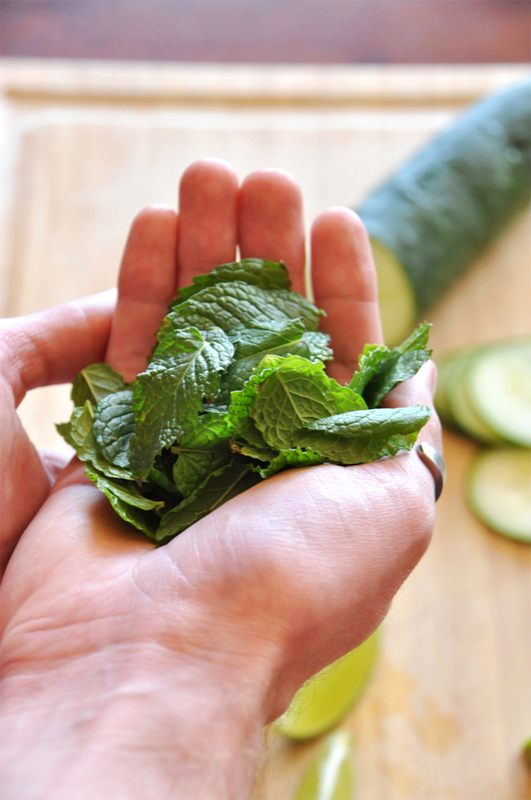 Just made this… Have an abundance of cucumbers and mint in the garden. I used agave syrup for the sugar. Very good cocktail. I used a good amount of tonic and like juice as the muddled mixture isn’t very much liquid. So yummy and perfect for the summertime!